This property has a 2 days cancellation policy. Failure to cancel within this time will result in a cancellation charge equal to the first night of your stay. The Bangkok nostalgia. 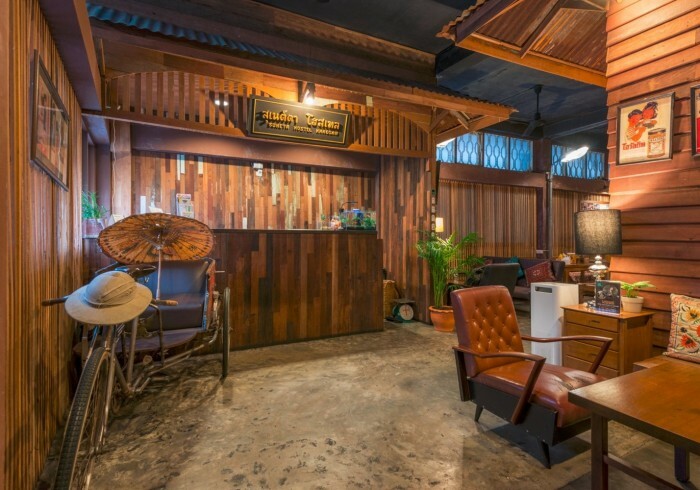 Suneta Hostel Khaosan offers guests the unique charm of modern style hostel and traditional concept of Bangkok old town in Kraisi Road, a venue off Khaosan Road with only a minute walking distance. The hostel was designed by the traveler for the backpacker with the convenient and various accommodations service, the cabin bed or thai capsule bed which simulated the train bogie for your private relaxing in the cabin bed with LCD TV, headphone, lamp, socket, room key, and access keycard. We provided the wide area for meeting and talking with the fellow travelers, the outstanding sanitary restroom and bathroom, and free WiFi for all of the area in the hostel.